For years, the iconic signs on the Sunderland Echo building at Pennywell were, for many Wearsiders, an indication that they were almost home. The red letters were clearly visible from the A19 and a familiar sight for regular road users. Now, they are being carefully removed by the building’s new owners, Tecaz, and the bathroom and kitchen retailer wanted to ensure that they were put to the best possible use. 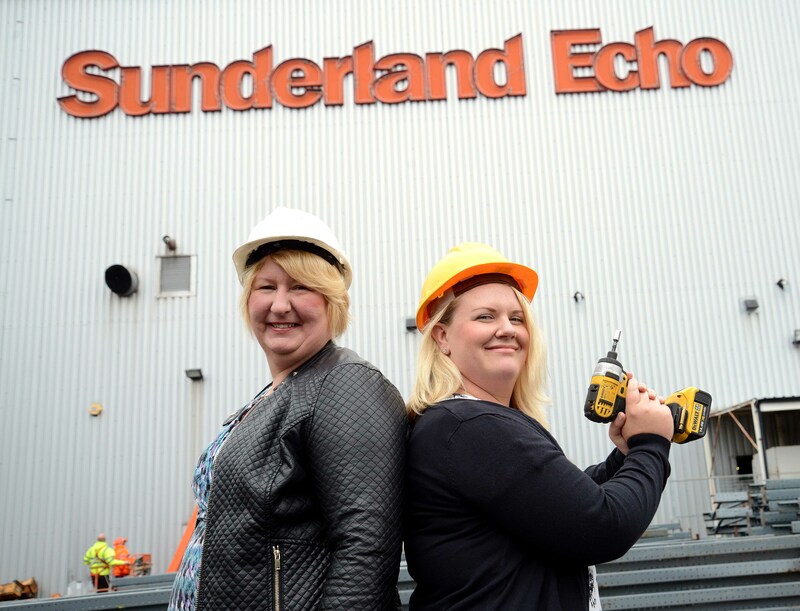 Catherine Porteous, manager from Tecaz, explains: “We bought the former Sunderland Echo building in May this year, to complete our comprehensive cover of the North East. “We didn’t want to see the signs go to waste and decided to give people the opportunity to bid for them with the money going to the Sir Bobby Robson Foundation. “The signs are huge but we’re hoping someone out there will be able to recycle them! The ‘Sunderland’ sign is 10ft 6in at its tallest and approx 63ft wide, while the ‘Echo’ is also 10ft 6in high and approximately 21ft wide. Patients at the Sir Bobby Robson Cancer Trials Research Centre, at the Northern Centre for Cancer Care in Newcastle, include 54-year-old Susan Coates from Sunderland. Susan, who works at Gentoo and is married with three children, is undergoing a clinical trial of a cancer drug at the Sir Bobby Centre, which was equipped and partially staffed through the Foundation. Susan says: “I was diagnosed with a very rare form of cancer of the appendix in February 2013. “I’ve been told it was a one in a million chance but it’s just one of those things you have to get on with. “I had to go to Basingstoke for specialist surgery and at this moment in time it’s not a curable cancer. 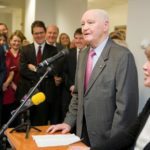 But we’re hoping it can be controlled with drugs and I was referred to the Sir Bobby Robson Centre by my oncologist at Sunderland Royal. “I’ve nothing but admiration and respect for the way I’ve been treated at the Centre. All the doctors, nurses and staff are so professional and caring, and there’s a wonderfully warm and supportive atmosphere. “It’s difficult receiving cancer treatment and it makes such a difference when the people caring for you are so understanding. 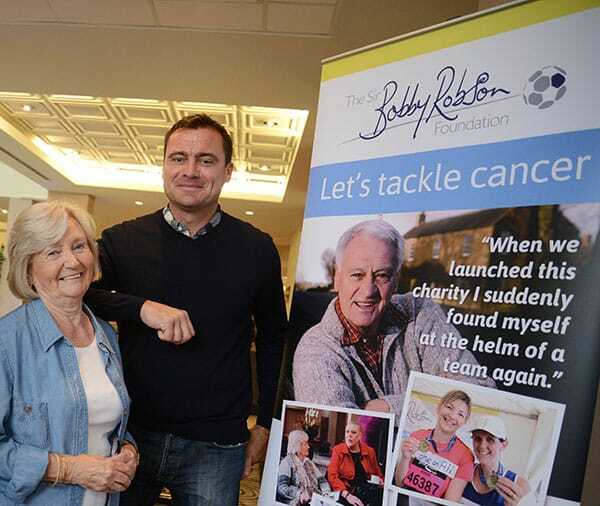 Sir Bobby Robson launched his cancer charity in 2008 and Patrons include Sunderland legend, Niall Quinn. 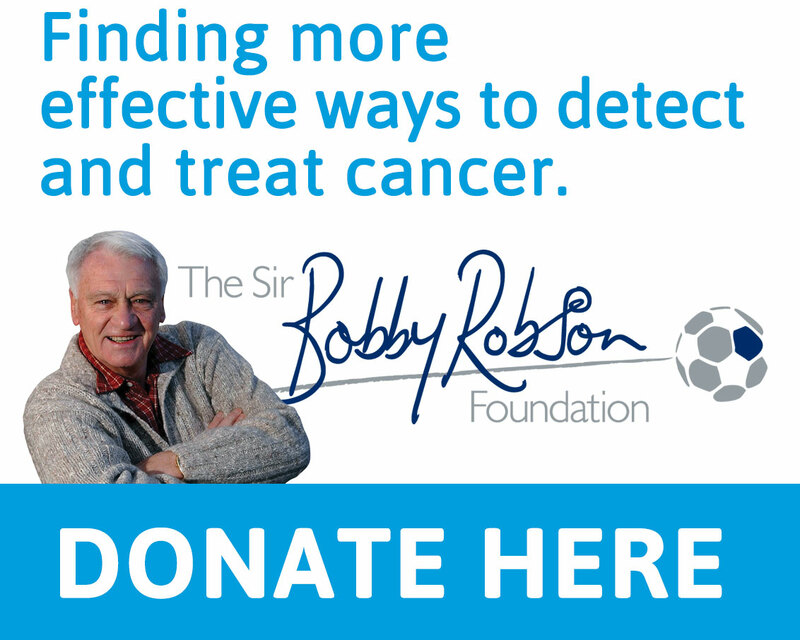 Liz Luff, from the Sir Bobby Robson Foundation, says: “This is a fantastic idea and we’re very proud to be involved. “The Sunderland Echo is a cornerstone of Wearside news and sport and will no doubt be for many years to come. Tecaz is the North East’s leading bathroom and kitchen retailer with three showrooms in Newcastle, Sunderland and Stockton totalling 175,000 square feet. Trading since 1985, they have many of the leading bathroom brands on show, with 150 bathroom and 40 kitchen displays at each branch and over £3 million of stock to ensure the quickest supply and delivery possible for customers.